DIY Holiday Decorating, Gifts, and More! What with the major remodel (see our progress over on Instagram @remodelaholic), I’m not sure how much holiday decorating will get done around here this year — but you can see my Christmas home tour last year here, and I’ve been collecting great Christmas ideas anyway (check em out here on Pinterest). So, create your own Christmas charm with some of our very favorite DIY holiday ideas — more than 200! From decorating to gifts to food and traditions — everything you need for the happiest of holidays. And don’t forget to come link up your projects (holiday or otherwise) at our Remodelaholics Anonymous party! And this green and white tree from Thistlewood Farm — so pretty! 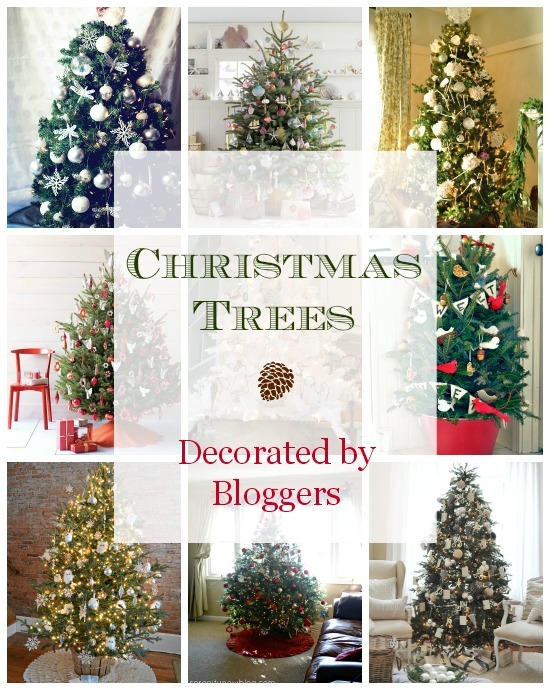 And if your style is more colorful, be sure to check out these colorful Christmas tree ideas! And these adorable and easy ornaments made from puzzle pieces! And these paint stick arrow ornaments are cheap, easy, and stylish! And solve the ugly tree legs dilemma with a super easy tree skirt — this faux fur one looks like it’s from a magazine and it is SO easy!